Many original antique maps come from old books and atlases which have been broken up to make individual prints, although some might have been published separately. Originals (if you can find them) can often cost thousands, or even hundreds of thousands of dollars. Giclée reproductions are a very acceptable alternative and are so good that you might wonder whether you are looking at an original or at a reproduction. Artists recognise the quality of the Giclée prints and they are found in the finest galleries around the world. The word Giclée (or Giclée and pronounced ‘gee-clay’ ) comes originally from a French word meaning ‘little squirt’ and refers to the spraying of over a million fine droplets of ink or dye per second onto paper or canvas. 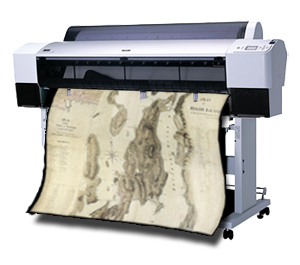 It is a high resolution printing process which uses large format professional inkjet printers. 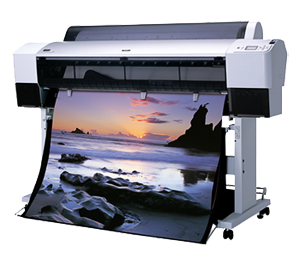 The eight colour printing process produces uniformly shaped, variable sized ink droplets on the paper for incredibly sharp, grain-free images with no noticeable dot pattern. Using fade-resistant archival inks (such as the best Epson Ultra-Chrome and K3 inks) on the best quality fine art papers, the Giclée print is of the highest resolution and color saturation possible, making it the closest duplication of original artwork that it is currently possible to achieve. Giclee colour prints are light fast for at about 75 years, and sometimes longer than that.